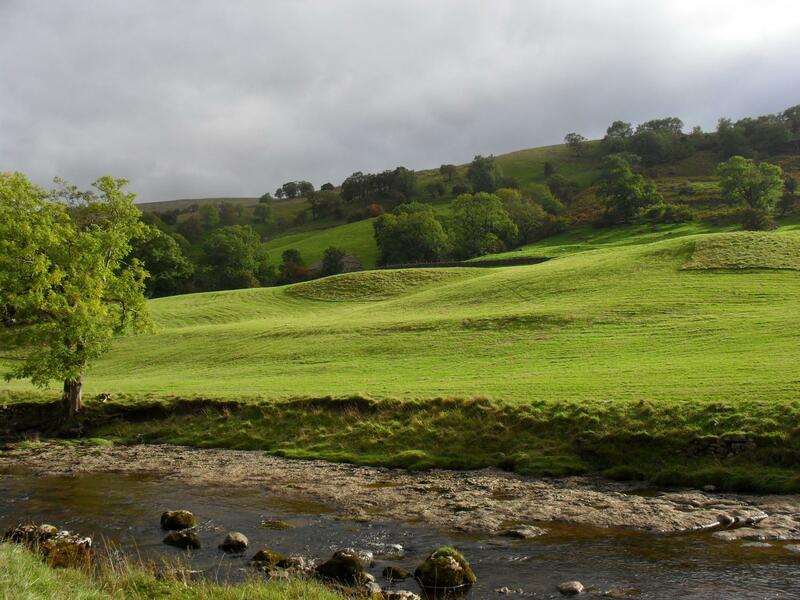 This walk is full of diversity, beginning with lush meadowlands and black bordered moors of the Yorkshire Dales, and ending with the luminous waters of Windermere and the splendour of the Lake District. 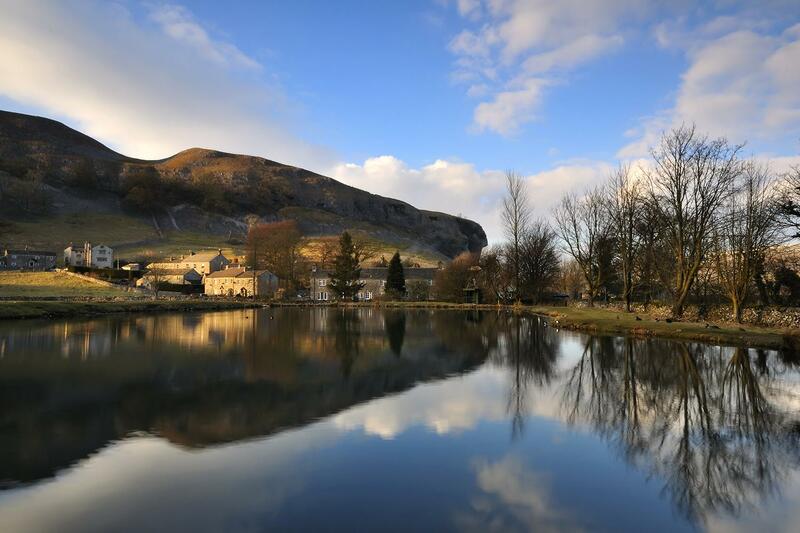 The Dales Way is full of natural wonder and is one of the greenest walks you will ever take, with lush, emerald valleys, fields, crags and fells to accompany you every step of the way. Arrive in the lovely Yorkshire town of Ilkley. Settle into your accommodation and perhaps enjoy trying an ale in the local pub. Starting at the Old Bridge in Ilkley, you make your way north on your walk up to Burnsall and through lush meadowlands and past Bolton Priory. Pass by stunning bridges and medieval settlements before Burnsall Bridge comes into view, marking the end of the stage. This quaint little town provides a few tea rooms and a local shop. Today you leave Wharfedale and enter Dentdale. 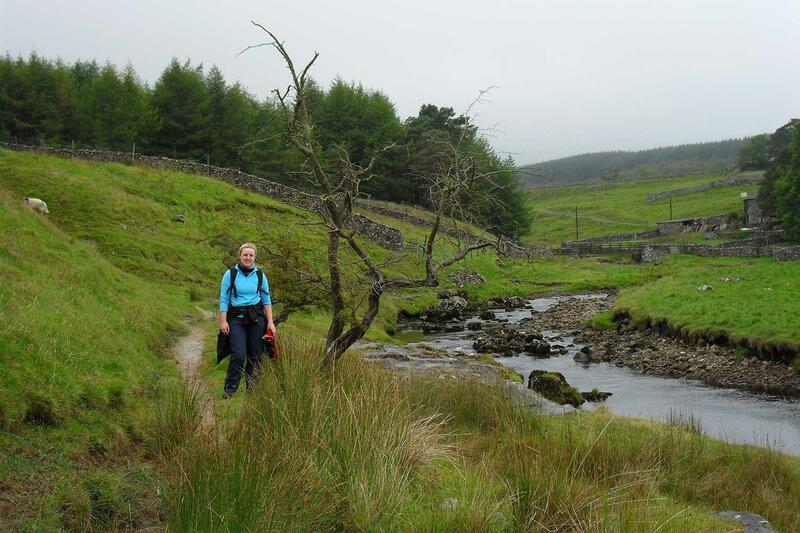 This path takes you past the river and to Deepdale Gill, which is a splendidly rugged area. The path then climbs, and later you can take in the views of the three peaks, Whernside, Pen-y-ghent and Ingleborough. Evidence of the impending Lake District is now visible as you head towards the impressive Dent Head Viaduct. After passing Scar Force and Dent Station (England's highest railway station), you will wind your way through meadow and forest as steep hills rise on both sides and the ominous Whernside looms some 2414 ft above you. A short while after Dent, the river which had become more of a stream earlier today, is back to its crashing glory and the bird life is in full flow again. On this section, you will get the sense of leaving Yorkshire and entering the Lake District. Spend the night in Sedbergh. The views and landscapes are delightful today as more evidence of the approaching Lake District forms up ahead, as you pass through slate-roofed villages and amble across a beck. The mighty Howgills dominate the skyline for most of the day. Pass Black Moss Tarn and cross the River Sprint before heading into Burneside, your next port of call. As you head off to the River Kent, you may be lucky enough to catch a glimpse of Kingfishers on this section. Pass plenty of interesting old mills, including an entire village of them at Cowen Head. The scenery becomes rockier as you progress to the end of the Dales Way and the river really comes into its own as it crashes and gurgles over the rocks. As you see the majestic lake ahead you can choose the long or short way to your final destination, Bowness-on-Windermere, a great place to celebrate your amazing journey. This independent walking vacation is available to solo walkers but as all our vacations are priced per person based on two sharing there is a single supplement payable to cover the additional costs we incur. A hearty breakfast is included each morning. Lunch and dinner are not included so you are free to choose from the available options. Most of your accommodations will more than happy to provide a packed lunch on request and this can be booked on arrival. Dinner is available either at your accommodation or nearby pubs or restaurants. The Manor House is located 150 yards from the Red Lion Inn, Where you are welcome to Eat and drink. The bedrooms are modern, most having lovely views of the River Wharfe and the village. 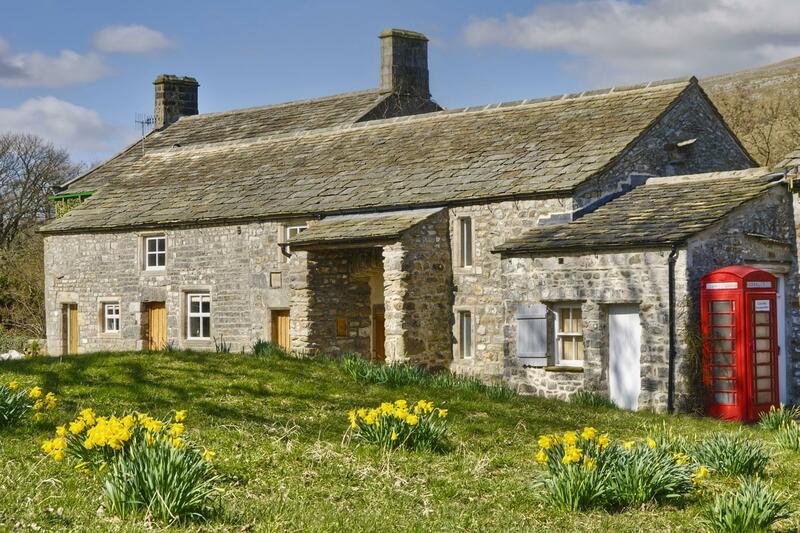 The Manor stands on the edge of the ancient and picturesque hamlet of Hubberholme, enjoying magnificent views of the surrounding fells. This charming 17th century country Inn is situated at the head of beautiful Dentdale in the Yorkshire Dales National Park.Sandra Martin the owner offers a warm welcome and good homecooked meals are available along with a selection of cask ales. The George & Dragon is a grade 2 listed building in the centre of Dent Village. A popular choice with walkers and locals this Inn has supplies a fine selection of local ales. At the Dalesman no two guest rooms are the same and they have paid attention to finer details. The inn has a traditional style bar with a welcoming log burner and traditional ales. The house is traditionally built in Lakeland style circa 1900 and retains many of its original features. Each room has complimentary tea/coffee making facilities. This trip is available to start on any day of the week from the beginning of April and end of October. You can start on any date that suits your travel plans, subject to availability. In order to help with availability, we recommend either booking an extra night in Bowness at the end of your walk or avoiding finishing in Bowness at the weekend - many B&B's only accept 2 night bookings at the weekend in Bowness and it can make it more difficult to confirm your trip if you do finish at the weekend. This walk is graded moderate and the walking surface is on everything from good walking trails to forestry roads and rough hillsides. The daily distances are anywhere between 9 and 16 miles, therefore you will have a good fitness level in order to make the most out of your tour. This route is waymarked and much of it follows a well laid out path so you will not need to be a very experienced navigator with a map and compass. However, as with any self-guided walk, it would be very helpful to have at least some navigating experience. Your bags will be transferred from your accommodation as per your itinerary and moved onto your next overnight location. We ask you to limit your luggage to one bag of up to 20kg per person. Please ensure that you do not bring more than one bag of 20kg, as if this occurs, the luggage transfer company will ask you to pay an additional fee (approx. £8.50 per day, per bag). This additional payment, should it be necessary, needs to be made locally to the driver and in cash. Any additional bags need to labelled as if they are not labelled we cannot guarantee that they will reach you at the next accommodation. If you are travelling from far afield and do have more than one bag it is possible to arrange for the extra luggage to be stored whilst you are on the tour for a fee of £25 per bag. These additional bags would be picked up at your accommodation at the start point (St Bees or Kirkby Stephen) and dropped off wherever you finish depending on the itinerary you choose to do. Please contact us if you are interested in this option. The closest airport is Leeds Bradford and there are frequent bus links to Ilkley. Travel time from Leeds Bradford Airport via Leeds is approx. 1 hour. Manchester Airport is approx. 2 hours 30 minutes by public transport to IIkley via Leeds. London Heathrow, Gatwick and Stansted are probably the best options for those travelling from outside the UK. From the airport you would travel to Kings Cross, where trains leave approx. every half an hour to IIkley via Leeds. Ilkley is well serviced via Leeds (approx. 30 minutes) which connects with most major towns, trains leave every hour from Leeds. For more information check out the National Rail Enquiries web page. We generally recommend that you use public transport to access your walk. Should you be driving please contact your accommodation directly to enquire about parking. The Dales area is bordered by major trunk roads. Leeds can also be reached by National Express buses with local services to Ilkley. From the end of the walk at Bowness-on-Windermere you can travel onwards by all forms of public transport, as it is well linked. 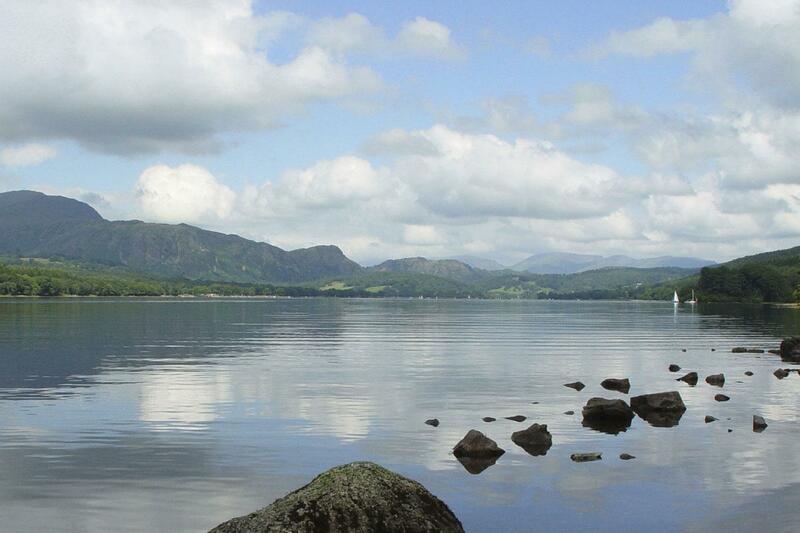 Manchester Airport is the closest airport to Bowness-on-Windermere and it takes approx. 2 hours 30 minutes to reach by train. Windermere is the closest train station which is a short 10 minute bus or taxi journey from Bowness-on-Windermere. From here you can connect to most major towns in the UK, including Manchester (2 hours), Newcastle (3 hours), Glasgow (3 hours) and London (4 hours). There is very limited parking in Bowness-on-Windermere so we do not recommend parking your car here. We are often asked the following questions and I hope that you will find the answers useful. Please don’t hesitate to contact us for any more information. We offer a range of itineraries so you can choose your preferred daily distance so hopefully you will find an itinerary that suits your preferred level of activity. If you currently don’t enjoy an active lifestyle we suggest regular walking in hilly terrain supplemented by cardio vascular exercise for at least 6 months prior to your walk. A good gym or personal trainer will be able to draw up a personalised training programme. 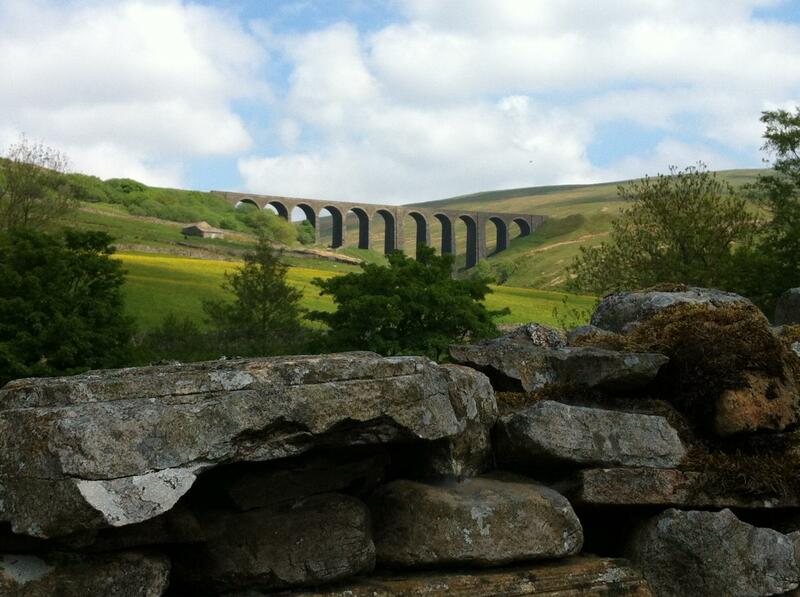 We suggest you book as soon as your plans are finalised as the Dales Way is extremely popular through the summer. You will need good walking shoes/boots (ideally waterproof), comfortable walking clothes, waterproof jacket and trousers, a daypack and hats/gloves etc. You can download a full equipment list from the downloads page of our website. Traditionally April/May has always been the most popular time of year because the theory goes that the weather is better. Although I believe any time between late March and September offers a wonderful experience. You can use public transport, or local taxis to continue to your next overnight stop. Distances were not reasonable for the time breakfast was served in hotels and taxi pick up at the end of 3 of our days, as accommodation could not always be be arranged for all 6 travellers at the advertised end-of-day town. And taxis were not actually booked for us as we were told. Spotty WiFi so this was an issue. Accommodations were very nice. We received lots of info from Macs for the trail. The trip was good. However, there were a few things we were disappointed with. Our plan was to walk from inn to inn each day. Unfortunately, we had to taxi 3 days. Even though we taxi'd to different towns we still could not stay (6 of us) in one location. It would have been better, especially if we had to go by taxi, if accommodations were found somewhere in one town or another that would accommodate the 6 of us in one place. It would have been nice if this typeof suggestion had been made. The documentation we were given stated that 20% extra time should be added to walking durations to add time for reading maps, lunch etcetera. However, especially the days with taxi pick ups did not allow enough time to walk the distance required from drop off to pick up times. We would have paid extra in some cases to have all stayed in the same accommodation so suggestions like that would have been helpful. Accommodations, trail information, app were all good. As I have come to expect from Macs, this holiday was well organised and ran on rails throughout. The weather was glorious with totally blue skies all 6 days. The accommodation was mix of Pubs and B&Bs and all worked well. In particular, the Daleslea B&B in Sedbergh and Beechwood B&B in Bowness were outstanding and should be highly commended. Only minor comment, in the Dales Way Information Pack booklet , it states "Day 6: Walk to Burneside" is 12 mls, whereas it is 16 mls as per the distance quoted in the provided trail book. It was a beautiful and interesting walk, but would be better done over 8 days to allow time to stop and enjoy. Not too difficult walking and we were lucky with the weather. The accommodations were mostly good, with the B&Bs excellent, but the Inns a mixed lot; all okay except for one. A wonderful and diverse experience. The walk exposed me to the challenges of the Dales and fells but provided an opportunity for me to experience true tranquility. Time for seeing, feeling and thinking. The "silence was golden". They do the Booking, you do the Walking. So after Easters nightmare weather, we had originally planned to Camp/Walk the Dalesway. I then remembered seeing Mac Adventure also covered the Dalesway. With just three weeks to go before we intended to walk the route (in reverse) we contacted them, told them we wanted to walk it in reverse and was it possible to organise accommodation. They said it would be albeit without transport of our luggage (as we originally intended to Camp/Backpack the route this wasn't a problem for us). A few days later we received a proposed itinerary, we adjusted a few items which they accommodated without problem. We have to say all the accommodation exceeded our expectations apart from one which met our expectations. We had no problems checking in, all previous arrangements like Taxi Transfers, Pick ups and Drop offs went like clockwork. Breakfast at every location was superb and hearty and the evening meal choice met our hungry appetites with approval. The Book and Map provided, were a great help ( though we took our own larger scale Maps, which I would take again). We had a problem with the Mac App (but believe this was a google services update, as it worked after 3 days into our trip) but in Macs defence they had provided the GPX Files which I had pre-installed on my Garmin GPS and into my Viewranger App which worked without fail, so bonus point to Mac for this. The route was everything we expected, split into manageable sections and we were blessed with the best weather imaginable. Yorkshire and Cumbria really are the jewels in England's Crown. Thanks to Kayleigh for organising the trip for us at such short notice and accommodating our quirks or doing it in reverse (closer to home as we are from Leeds). I have no hesitation in recommending Macs Adventure and highly recommend the Dalesway Route to all that want to see the spine of England in all its glory. 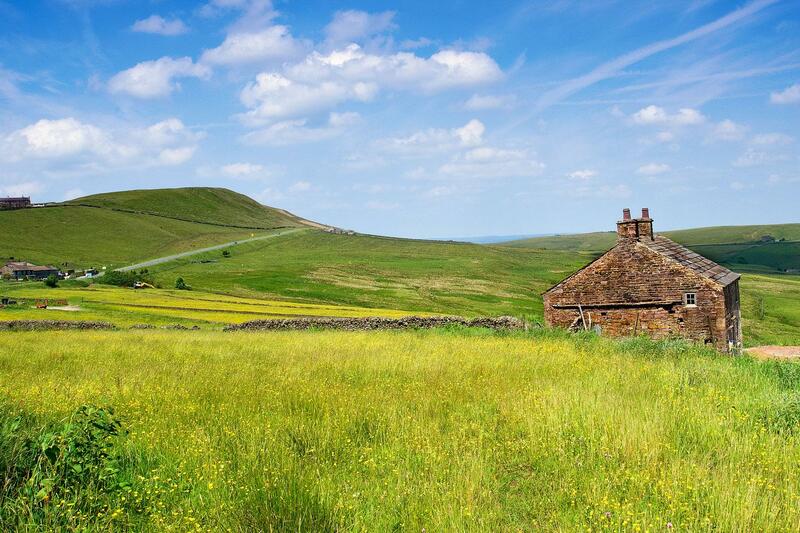 The Dales Way is a beautiful, bucolic and relatively easy route. 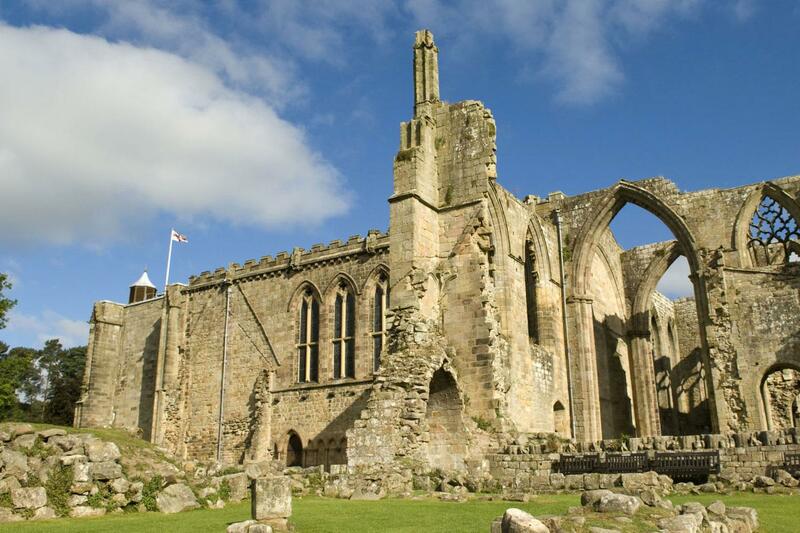 Along the way are some awesome sites, such as the historic Bolton Abbey and Denthead Viaduct. All of the accommodations were nice, including some cozy, out-of-the-way pub houses. I was a bit unlucky with the weather because it rained a bit every day and it was heavy on two of the days. I guess there's a reason for the rich, green landscape.... :( Nonetheless, highly recommended. A different type of holiday for us but thoroughly enjoyed it. Great scenery and places to see. One accommodation let us down. All others were lovely. dales Way is a classic and it helped that we hit sunny weather, although it was actually too hot part of the way (an infrequent complaint in Yorkshire I am told). Accommodations were pretty basic but in the "better" range of what is available, and a few were particularly nice. Others were quite funny, given how remote they are. I am in the higher end of the Boomer age range and found 3 16-17 mile days challenging, so would probably take at least one extra day to do the walk if I had it to do over again. Scenery was amazing and several of the towns along the way are stunning. As for MacAdventure, their set-up is completely reliable. Everything went without a hitch. 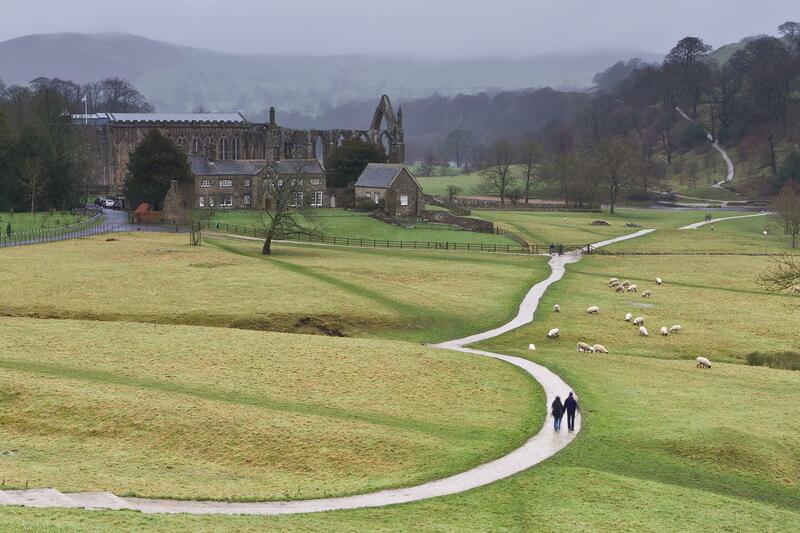 The Dales Way is a remarkably beautiful walk through some of England's finest scenery. The walking is relatively gentle and provides you the time to take it a bit easier than most long distance walks and really sink into the geological wonder that surrounds you.